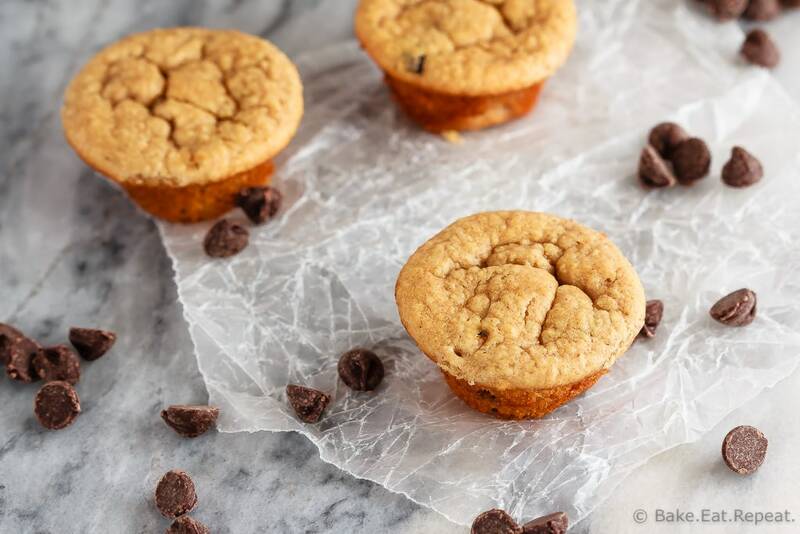 These peanut butter banana blender muffins take just minutes to mix up in the blender and result in soft, healthy mini muffins that the kids will love! Have you ever made blender muffins before? I never had. I’ve always made muffins in a bowl with a spoon so as to not over-mix the batter and end up with tough, not very good muffins. I’ll admit, I was a little bit skeptical that these peanut butter banana blender muffins would be any good. But, I thought I’d give them a whirl and see. I’m always willing to try new muffin recipes, even if they are weird and made in a blender. To be fair, the over-mixing part doesn’t really apply when the muffins are flourless. There are some rolled oats in these muffins but no flour, so overdeveloping the gluten by mixing too much is not really an issue here. But still. Muffins in the blender seemed strange to me. I was wrong. These peanut butter banana blender muffins were gone in two days flat. Which I have to say is a little bit impressive for a rather large batch of mini muffins. Even for my muffin loving family. These blender muffins were just so tasty. It was hard not to keep grabbing another one every time we walked by the container. 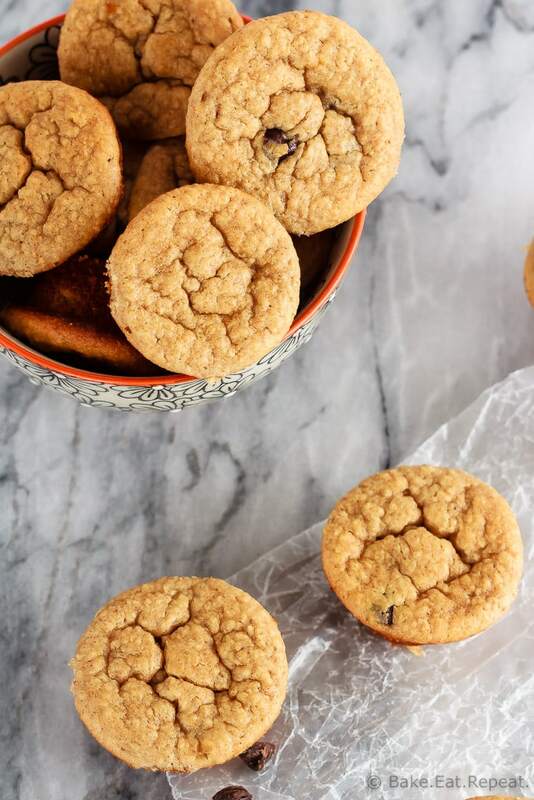 Filled with peanut butter and a sprinkling of chocolate chips, you can’t even really taste the banana in these mini muffins. They are soft and tender and bursting with peanut butter flavour though. The tops are a lot flatter then regular bakery style muffins, you don’t get the nice domed tops here. Instead of a light and fluffy bakery muffin these are rather dense in texture, but we really liked them for a change. And you can’t beat the amount of time it takes to make these. 20 minutes and they’re baked and ready to devour. Perfect. 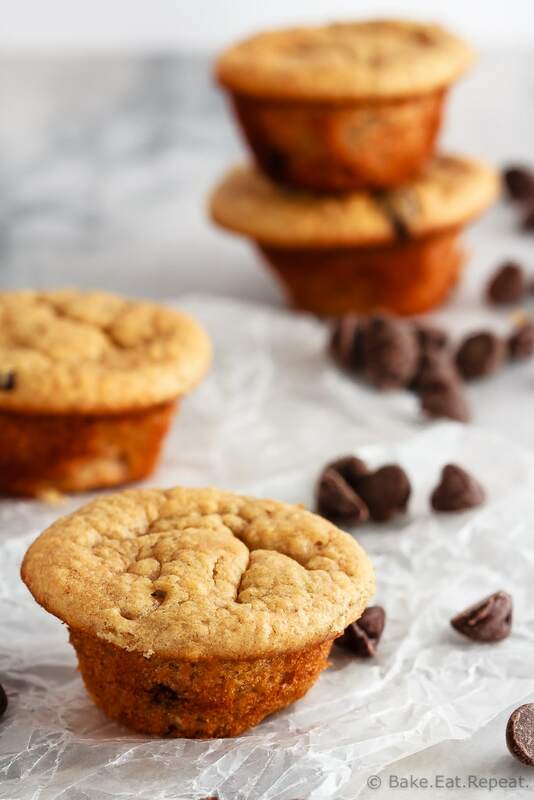 I’ve also shared this Peanut Butter Banana Blender Muffins Recipe over on Food Fanatic.